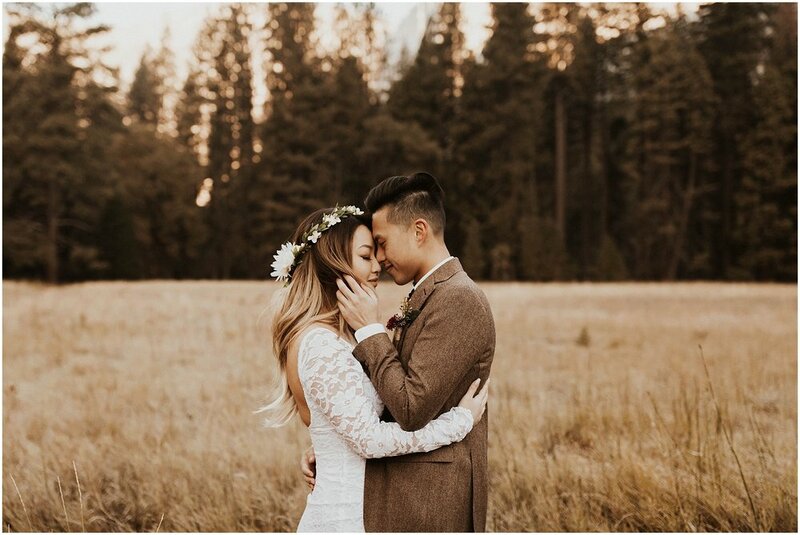 These two had their big, traditional wedding planned for the end of the year, but in the midst of planning it, they caved and decided to elope instead and have a reception afterwards and I was so happy when they called to tell me the news! 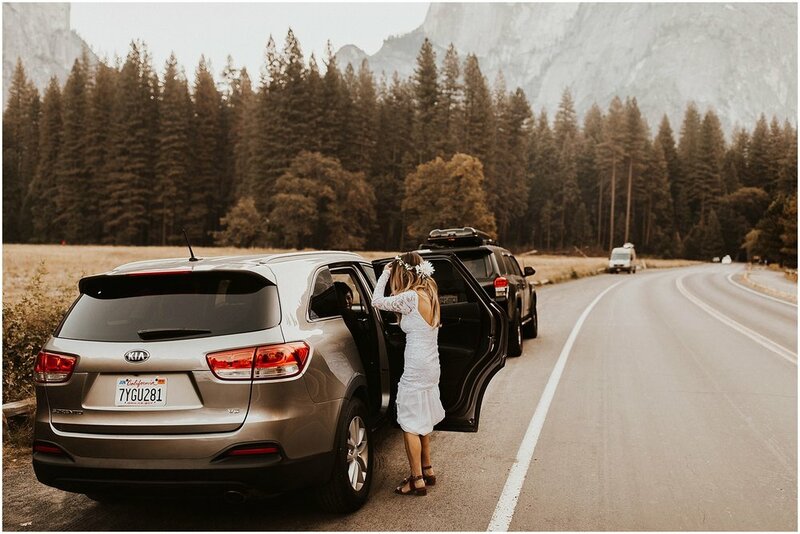 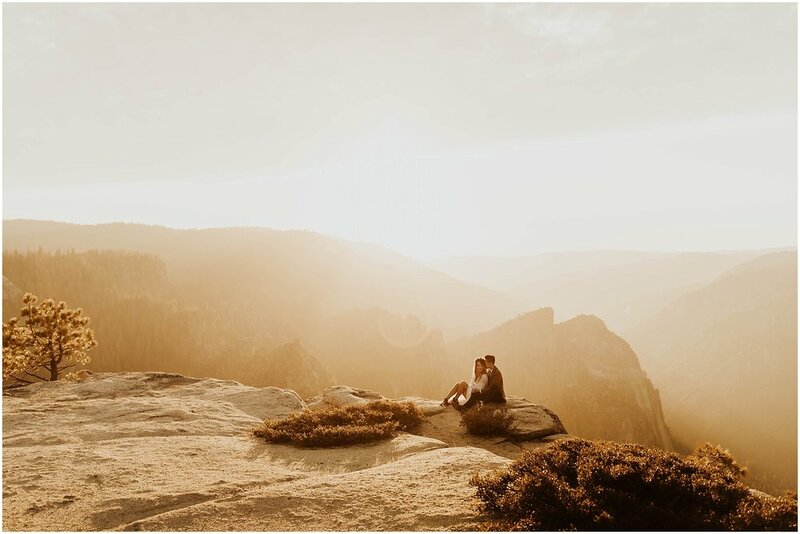 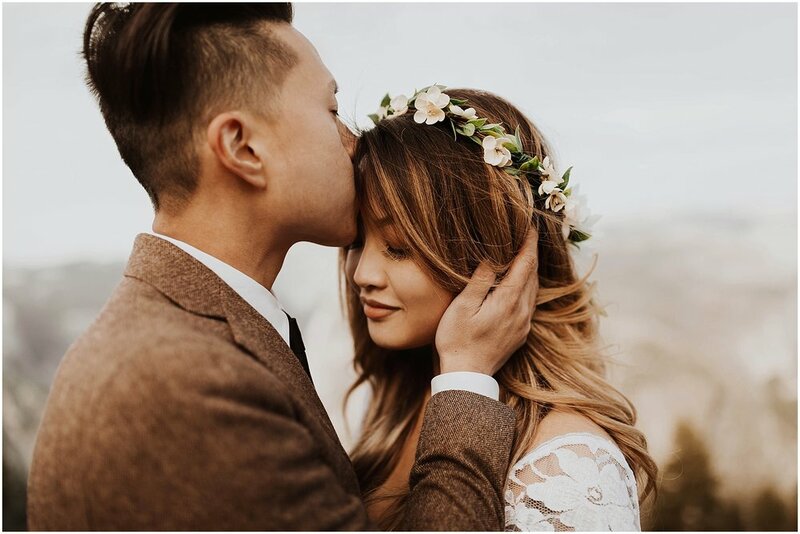 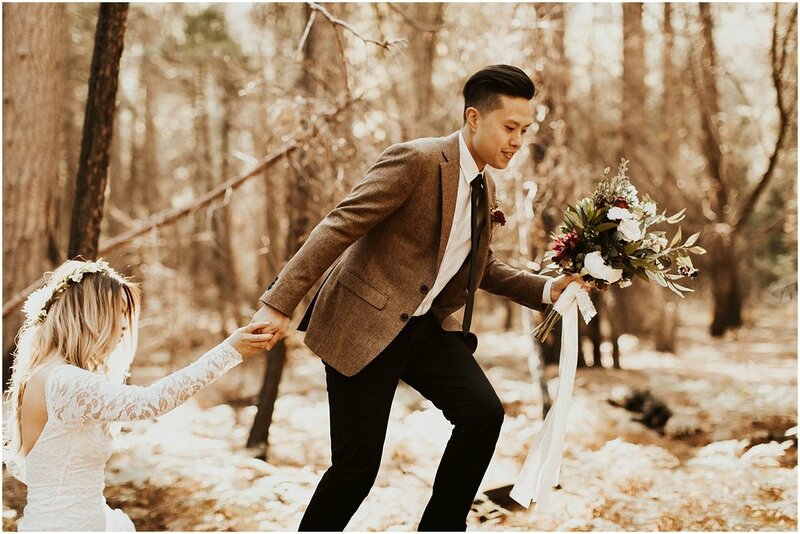 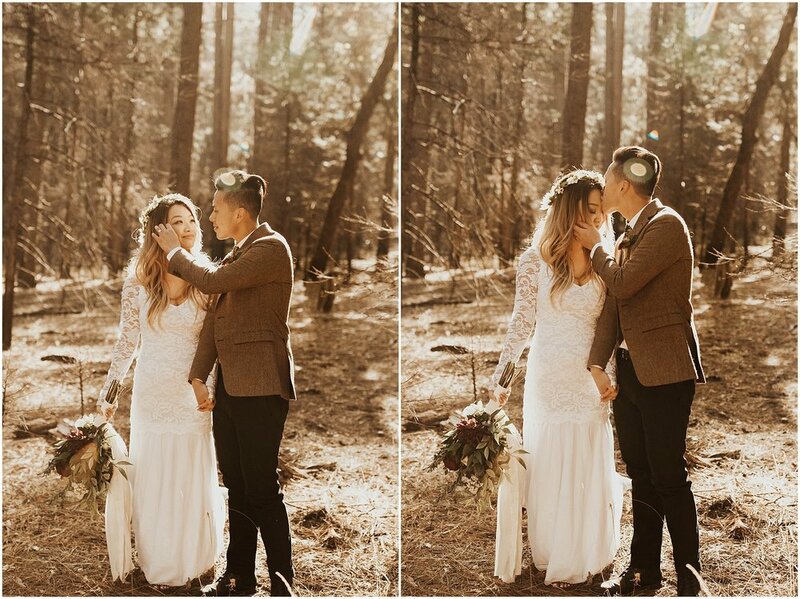 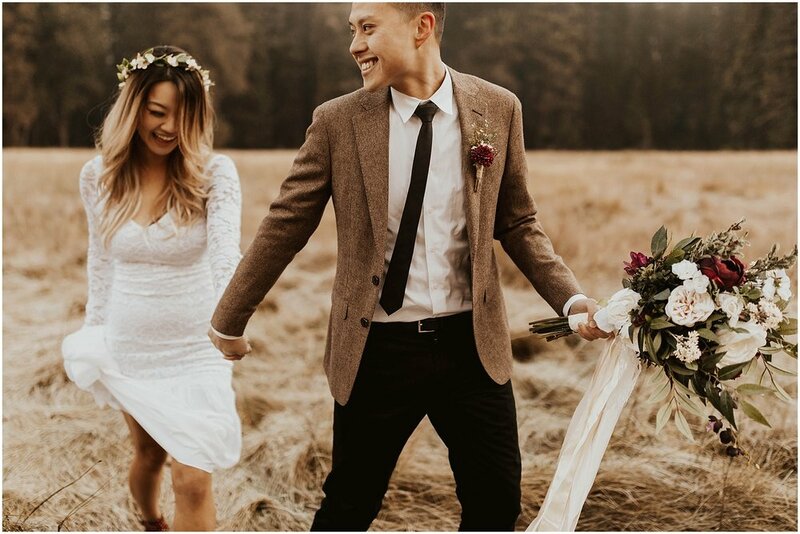 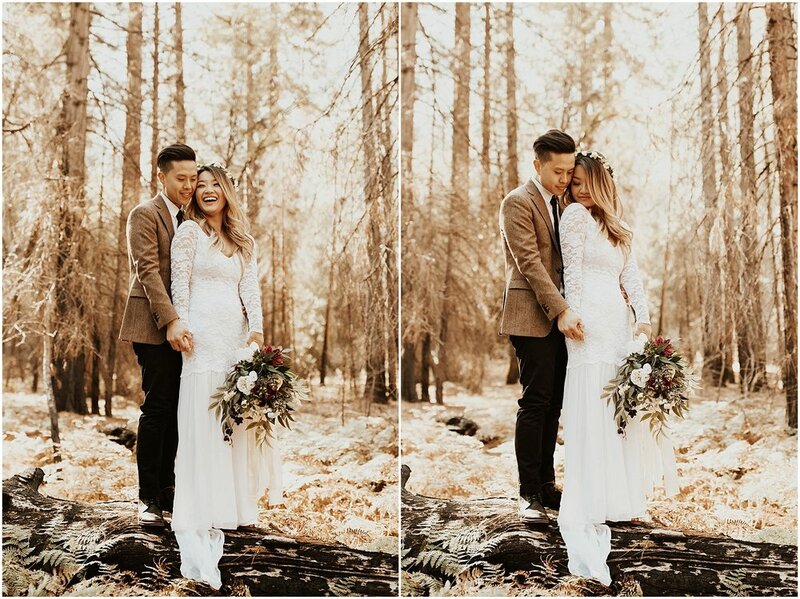 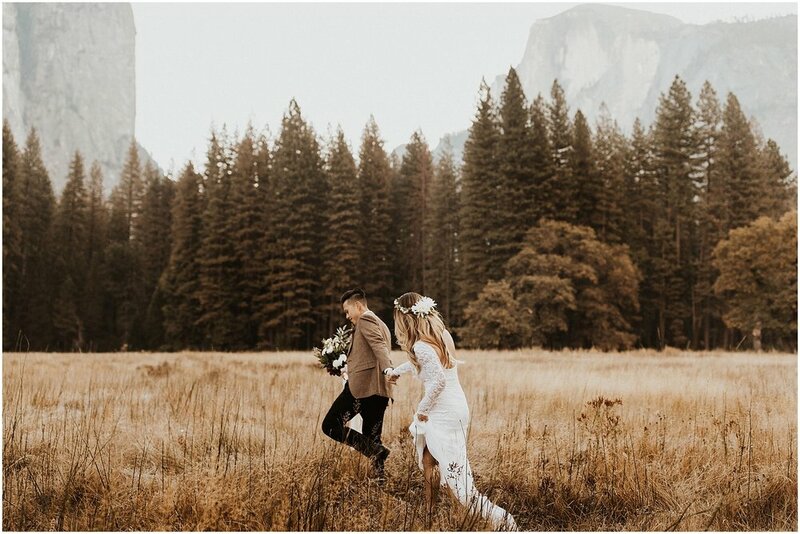 They decided to elope in Yosemite in the fall when the tourists had gone, but the park is as beautiful as ever with glowing orange leaves and frost covered fields. 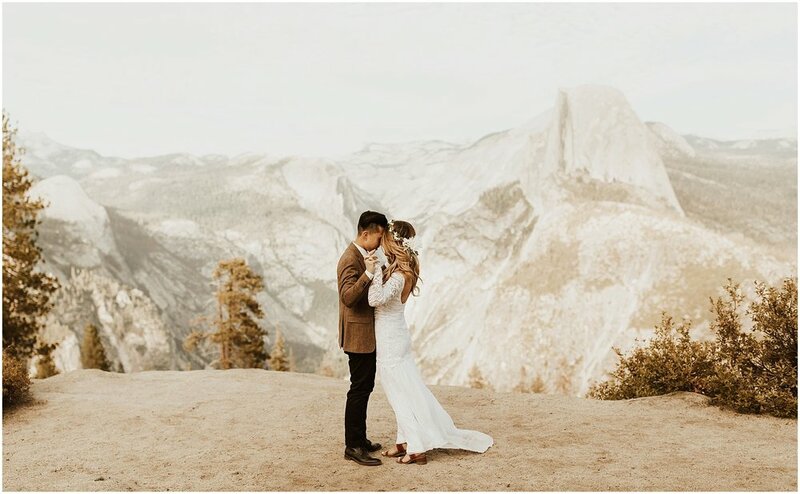 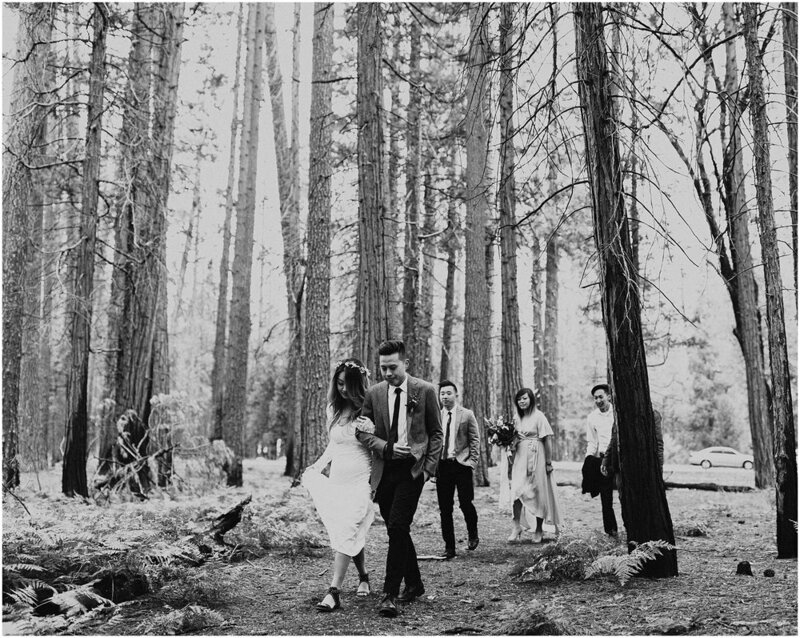 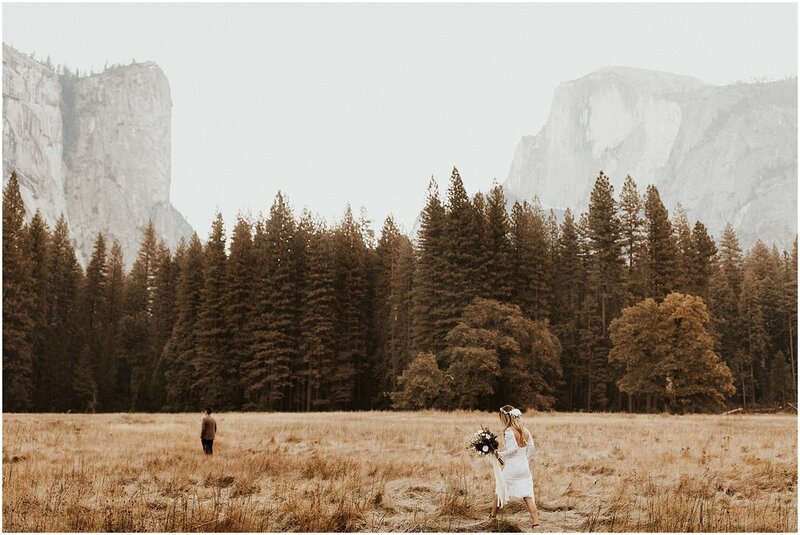 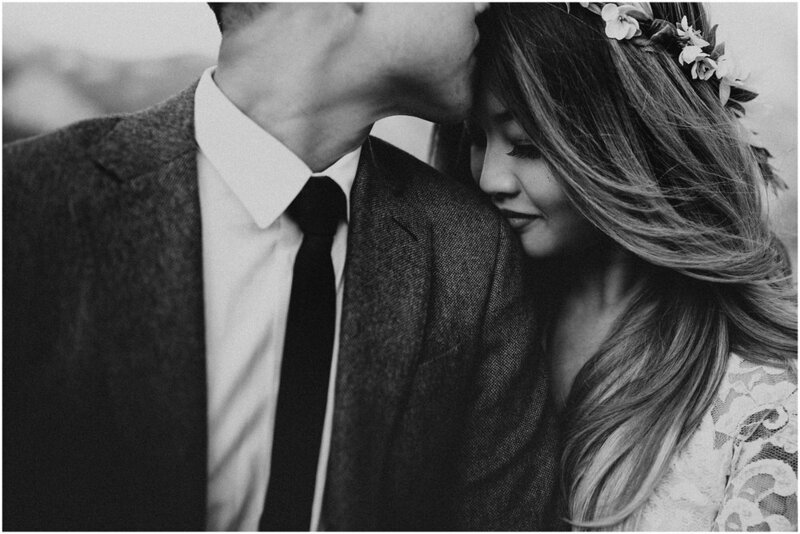 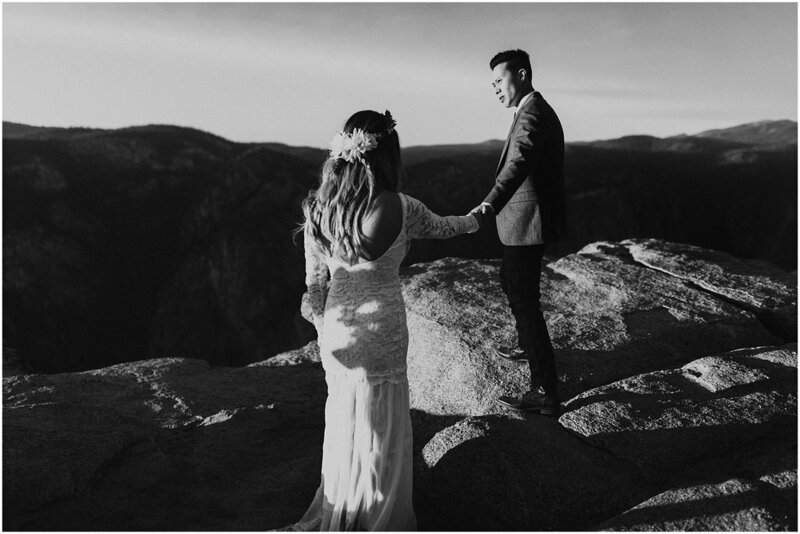 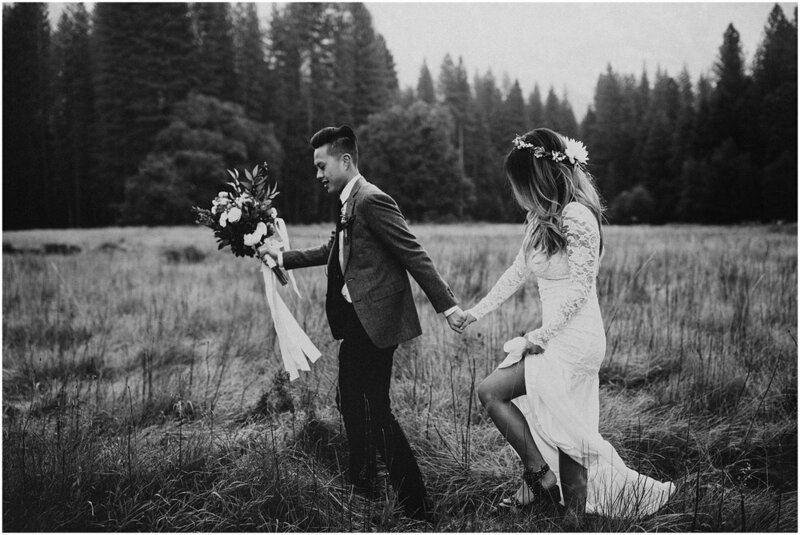 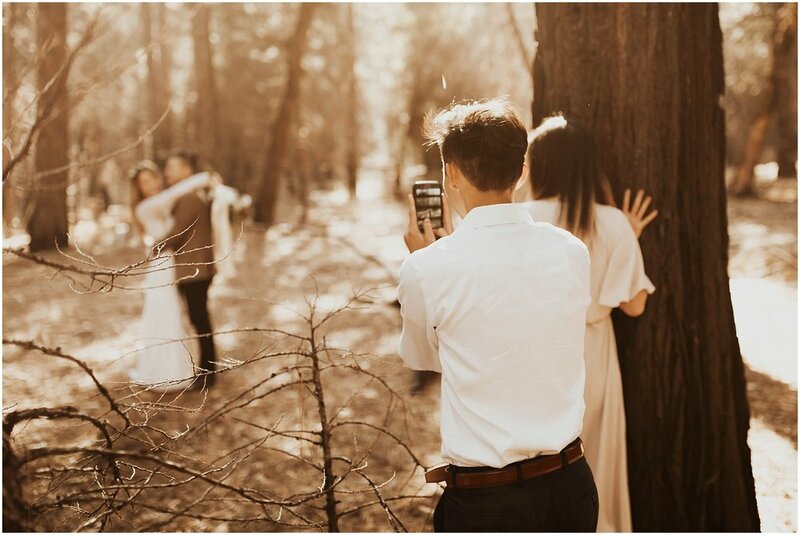 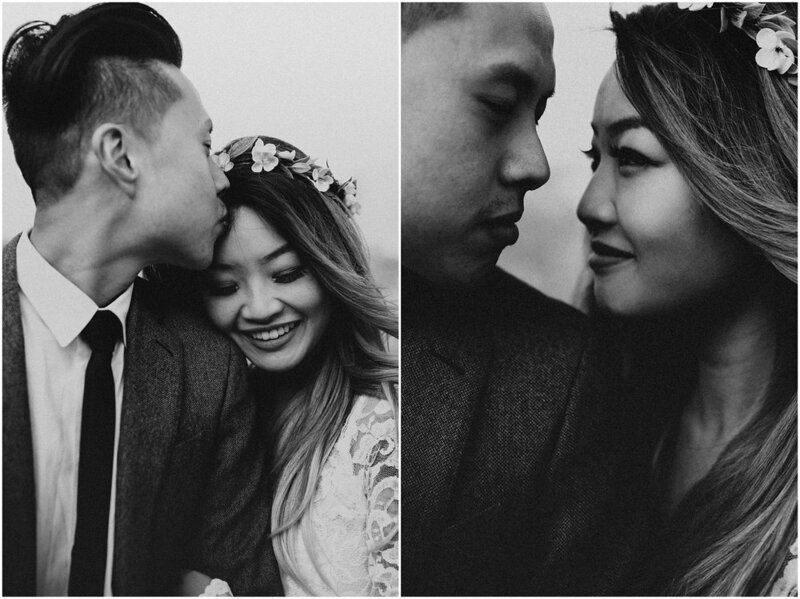 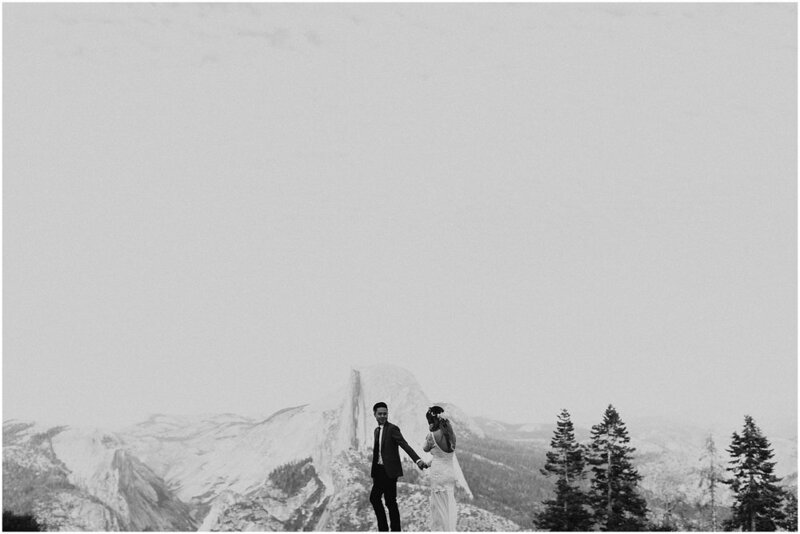 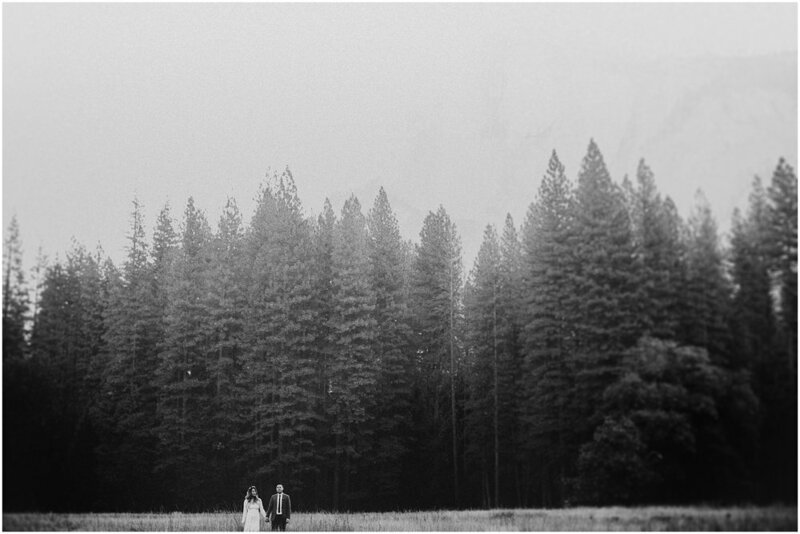 We woke up while it was still dark out and drove into the park to a field where Half Dome was towering behind us and with thermals on under their wedding clothes, they had their first look. 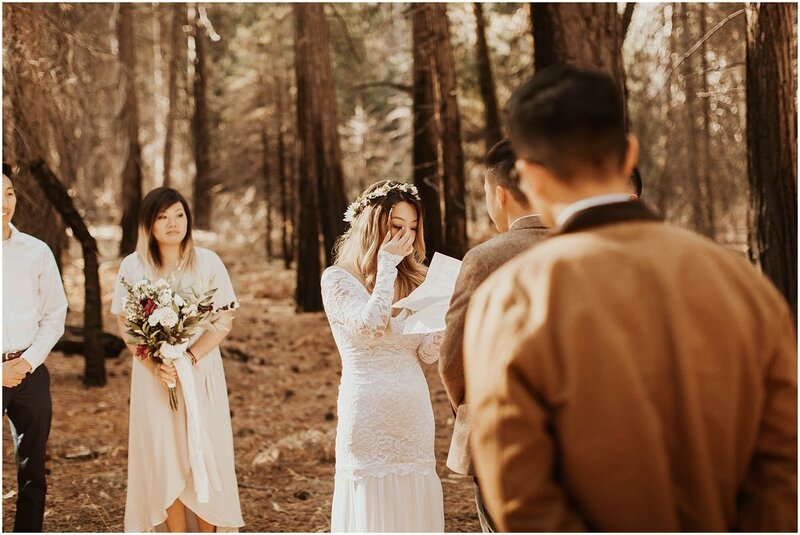 Then we ventured into the forest by Cathedral Beach and had the smallest, sweetest little ceremony as the sun starting peaking through the trees. 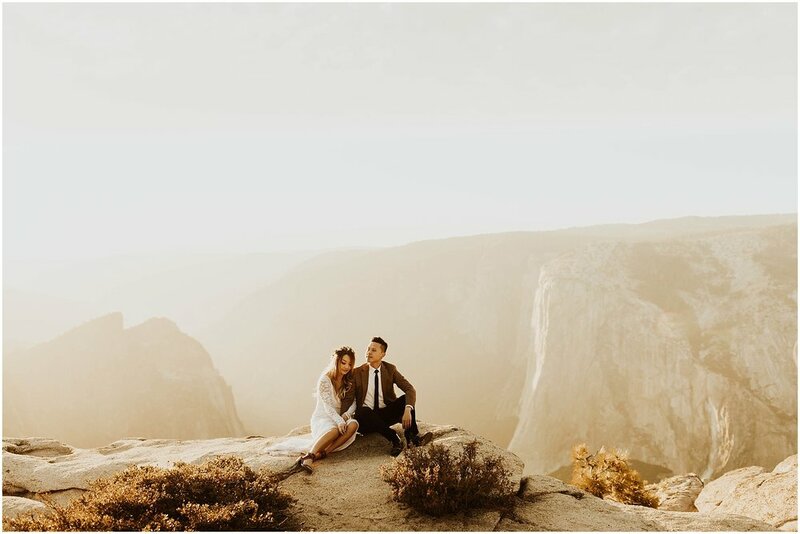 We spent the rest of the day relaxing and exploring the park, waiting for the sun to start going down over the mountains and made the hike out to Taft Point to catch the sunset and end the day in the perfectly silent park. 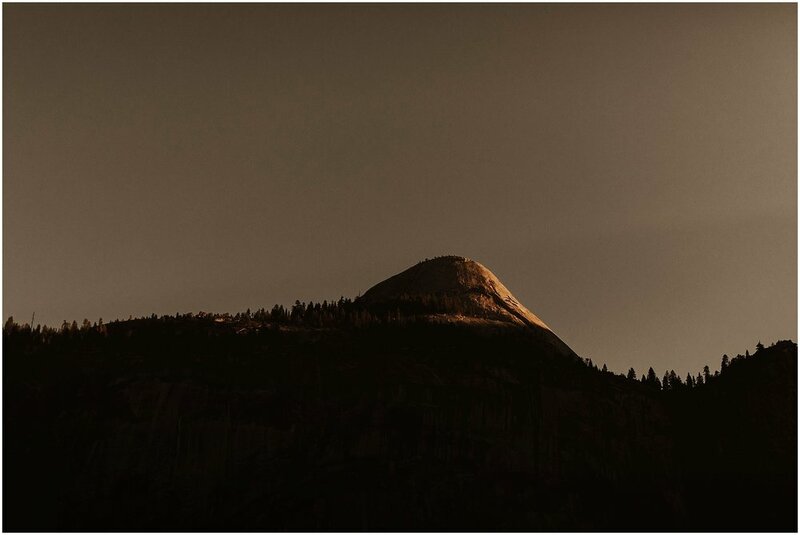 The nearby forest fires illuminated every ray of sunlight coming in for the most insane end of a perfect day.